Karel Cox (BEL) kicked off the second day of the Longines Global Champions Tour of Hamburg with a win on the dark bay Evert, blasting ahead of speed demon Julien Epaillard (FRA) Virtuose Champeix to finish just 7 tenths of a second ahead. It was a strong start for the local riders, with four of the top six German athletes competing on home soil. Philipp Weishaupt (GER) took third with Lasse K, Felix Hassmann (GER) in 4th with SIG Captain America, Christian Kukuk (GER) 5th with Lacasino and U25 star Laura Klaphake (GER) with Camalita in 6th. 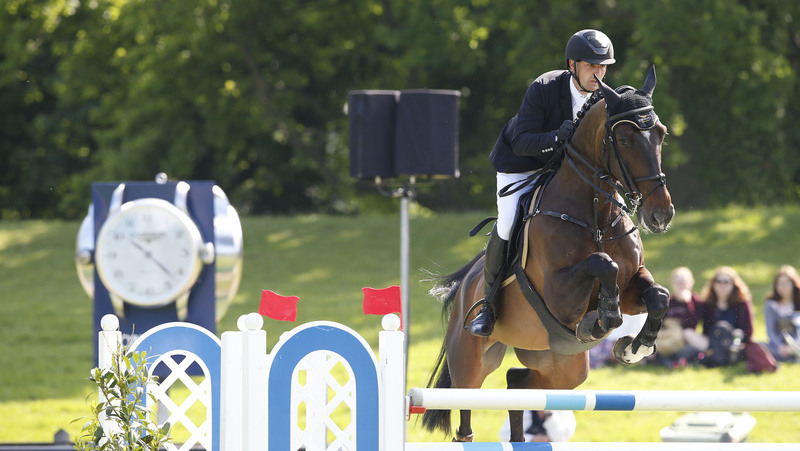 Under blue skies, an international field of show jumping stars took to the grass arena of Hamburg’s Derby-Park Klein Flottbeck for the 1.45m speed class, with a Frank Rothenberger designed course setting up the day perfectly. 14 riders went clear and inside the time, including the likes of Marcus Ehning (GER) with Pret a Tout, Rolf-Göran Bengtsson (SWE) with Crunch, Pius Schwizer (SUI) with Chidame Z, Marc Houtzager (NED) with Sterrehof's Eddie Blue and Maikel van der Vleuten (NED) with Arera C - with all looking on strong form this weekend. But it was Cox who took the lion’s share of the prize money, the Belgian consistently at the sharp end of the grid this weekend, and claiming another CSI5* win on the Longines Global Champions Tour circuit. The next CSI5* class will kick off at 18:00 local time. Tune in via GC TV for all the action as it happens, live from LGCT Hamburg.